Reede Motorschiff The Grimmershörn was built in 1956/57 on the Hansa shipyard in Cologne-Deutz. 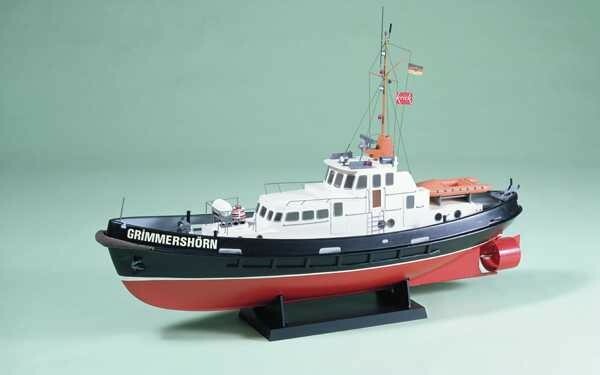 She was stationed in the port of Cuxhaven and was used as a buoy tender and a pilot boat. A few years ago it was sold to a private person who was completely rebuild the ship. 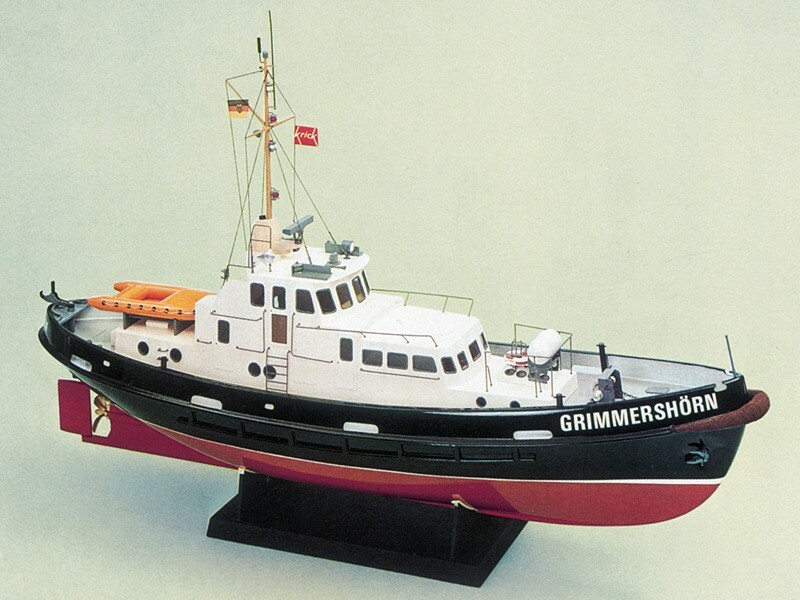 Our model was constructed by shipyard plans and corresponds to the structure of 1957.